A national of Burkina Faso, Mr. Théophane Nikyèma is a member of the Board of Directors of the International Bureau of Children’s Rights. He also serves as a Trustees at Keeping Children Safe. 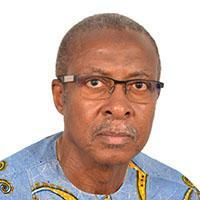 From August 2013 to January 2018, he was the Executive Director of the African Child Policy Forum (ACPF). Prior to that, he held senior positions at the United Nations including UNICEF Representative ad interim in Mali; UNDP Resident Representative, UN Resident Coordinator and Humanitarian Coordinator in Uganda; UNICEF Deputy Regional Director for West and Central Africa, UNICEF Representative in Rwanda, Senior Operations Officer at UNICEF Tanzania, and Regional Operations Officer for UNICEF SouthAsia. Mr. Nikyèma holds a Postgraduate diploma in Human Resources from the Institute of Policy Development and Management, the University of Manchester, England, United Kingdom; a Master of Business Administration from the Peter F. Drucker and Masatoshi Ito Graduate School of Management of Claremont Graduate University, USA and a Bachelor’s degree in economics from the Cheikh Anta Diop University, Dakar, Senegal.